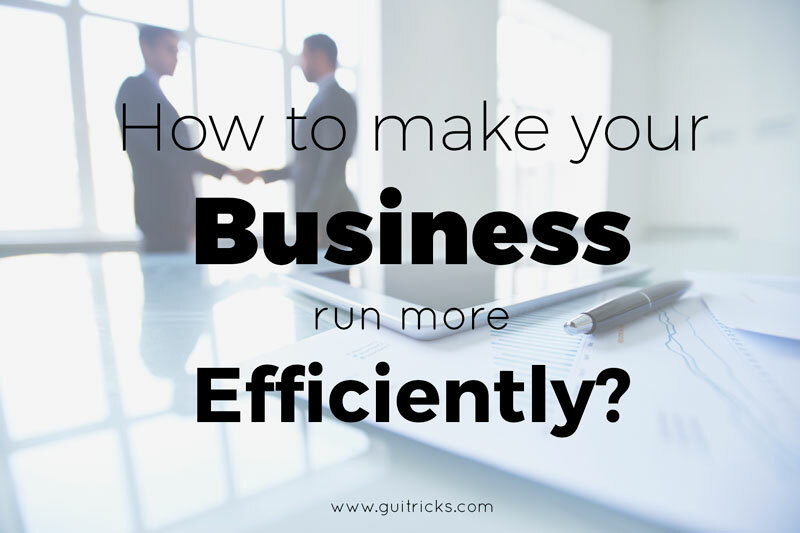 How to Make Your Business Run More Efficiently | GUI Tricks - In Touch With Tomorrow! 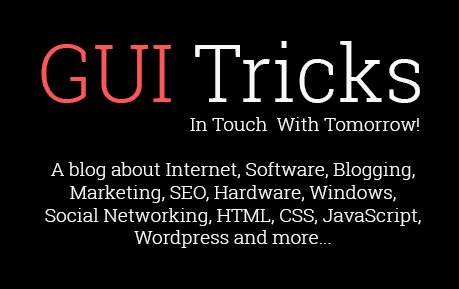 How to Make Your Business Run More Efficiently - GUI Tricks - In Touch With Tomorrow! Businesses are always searching for the secret to productivity, but often miss the easiest ways to become more efficient. Too often businesses go overboard spending too much time and money trying to find ways to become more efficient. Ultimately, these businesses end up hurting themselves rather than helping. The secret to growing a business in the most efficient way possible lies in automation. When businesses are open to automating their processes and services, they will soon realize the wonderful benefits that working with the latest technology and software affords them. As businesses start to implement automation into their workplace, day-to-day operations will start to run more smoothly and every aspect of the business will start to grow. 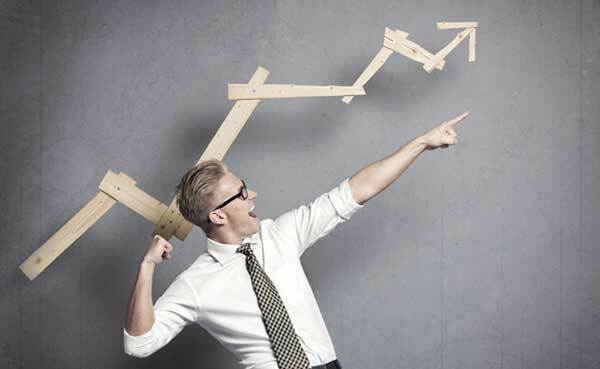 Read on for the best ways to make your business more efficient. Bringing in revenue is what keeps your business alive. New businesses tend to struggle more when it comes to maintaining consistent payments. Most new businesses have to constantly send out invoices and wait for payments in order to receive any revenue. This kind of process is guaranteed to slow down the business as well as hurt the budget. The best way to ensure that a consistent stream of income is always coming into your business is to use software to set up automated payments. Setting up an automated payment process will allow your business to properly budget and will free up your time to run other aspects of your company. Most businesses use recurring invoices, payroll systems, and online payment apps and websites to handle automated payment processes. Recurring invoices are the easiest for tackling the process of regular invoicing. Use accounting software to set up invoices that will regularly send your invoice at the same time every month. This will keep you from making any mistakes and will allow your business to keep running on its expected earnings. Payroll systems are typically reserved for regular employees of a company, but if you have done recurring work for your client, you may want to ask to be put on the payroll. This will ensure that you are paid regularly and consistently, like any other employee on their payroll. Additionally, many businesses have taken to using sites like Paypal to set up recurring invoices and payments. In the workplace, it is seemingly more efficient to send a chat message or email, but sometimes, chatting back and forth can be more challenging than having an in-person conversation. While chatting virtually is perfect for a quick message, face-to-face conversations are the best for discussing problems and developing solutions. The most efficient businesses find a way to balance conversing online and in person, depending on the kind of conversation. Companies should encourage face-to-face discussion so that employees are as comfortable having a conversation in person as they are over the Internet. Efficiency comes with having a dedicated block of time to complete projects. Businesses that constantly disturb their employees’ working time with meetings and other interruptions are actually hindering them from being as productive as possible. Setting up a work schedule that allows for long blocks of dedicated working time for supervisors and employees is the best way to ensure that the maximum amount of work is completed. Often, data is the most valuable asset modern companies have. You better make sure that there are measures in place to protect this data. IT professionals can do it manually, but often these undertakings are not efficient. Shifting over to data backup and data recovery software for digital companies is the way to go if they want to remain efficient. Multitasking often seems like it is more efficient than completing one task at a time, but that is rarely the case. By taking the time to focus on bringing a single project to completion before jumping to the next one, workers will realize that they are completing tasks more quickly and are therefore being more productive. Many workers are used to multitasking and may have to be trained to get into the habit of working on one task at a time. Efficient businesses should help employees understand that multitasking forces you to interrupt your workflow, causing you to place a project that is almost complete on hold. The single tasking method will allow you to bring more projects to completion in a timely manner. Happy employees work more efficiently. It’s be proven time and time again. This should be a focus for management. One way of doing this is to not overload employees. Stress can lead to mental health issues, and if mental health issues aren’t addressed, they can become more serious conditions. If you’re not taking care of your employees’ mental health, they could drop in productivity, or worse, actually develop a stress-related mental condition, and go on disability. Though email is an integral part of any business, it isn’t the best for collaborating or communicating amongst teams. Instead, the most efficient businesses use task management technology and software to communicate as a group. These kinds of software are designed to allow team members to work together, track each other's progress, and help each other stay on task. This sort of software streamlines task management and saves everyone from the hassle of having back and forth emails. As you learn to implement automation more and find ways to cut down on unnecessary distractions, you will find that your team and your company as a whole will be better off for it.